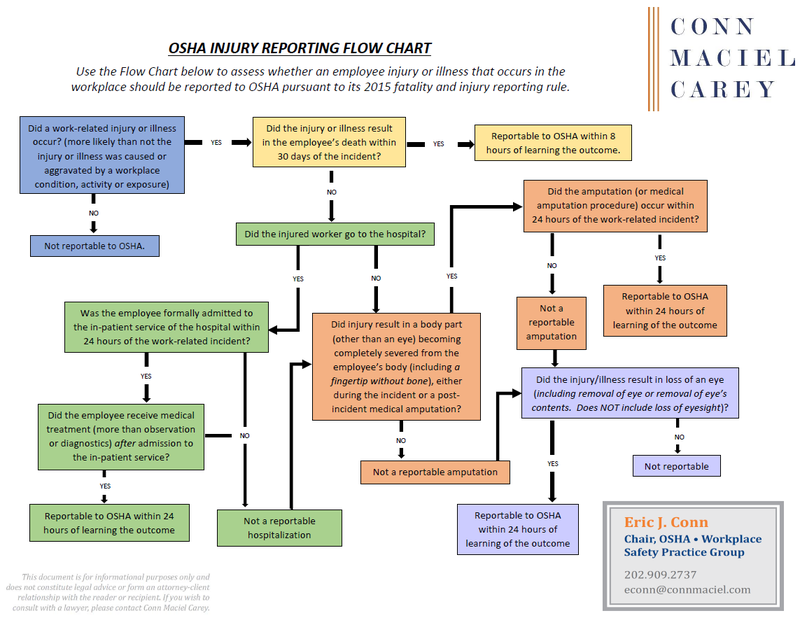 accurate injury and illness logs for the entire five year period for which the current regulation requires employers to keep copies of their OSHA 300 logs and related forms. Essentially, this proposal extends OSHA’s statute of limitations period during which OSHA is allowed to bring an enforcement action alleging a violation of the recordkeeping standard from six months from the day of the recordable injury to five years. Here is a link to a recording of the webinar with slides and audio. If you missed any of our prior webinars in the 2016 or 2015 OSHA Webinar Series, here is a link Conn Maciel Carey’s Webinar Archive. This was the sixth webinar event in Conn Maciel Carey’s 2016 OSHA Webinar Series. Plan to join us for the remaining complimentary monthly OSHA webinars. To register for all of the remaining webinars in the 2016 series, send an email to info@connmaciel.com, and we will take it from there.